Gelsenkirchen - will not be rushed back into Bundesliga action following his knee injury, according to FC Schalke 04 coach Jens Keller. The 30-year-old has been sidelined since suffering a tear to the medial ligament in his right knee at VfL Wolfsburg on Matchday 2. The Dutch international then suffered a further setback during training in October, before deciding to undergo an operation to cure the problem. 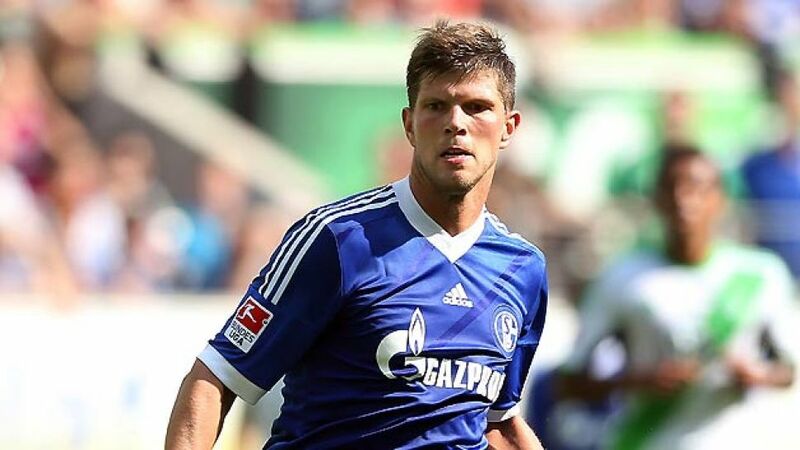 Huntelaar didn't travel with the rest of the Royal Blues squad to their mid-season training camp in Doha, but the striker has since returned to first-team training in Gelsenkirchen. Nonetheless, Keller is wary of throwing the striker, who scored a brace against Hamburger SV on the opening day of the season, back into the fold too quickly. "It will be difficult after five months [on the sidelines]," said Keller after his side's 2-1 friendly defeat against 1. FC Köln on Saturday. "He's only been back in training for a week. We need him, he's an important player. If he indicates that he's fit enough to be among the substitutes and get through this next week, he will also be an option." One player who is likely to be fit for Schalke's first match of the Rückrunde - against HSV at the Imtech Arena - is captain Benedikt Höwedes. Like Huntelaar, Schalke's skipper returned to training last week following a thigh complaint, and although he was forced to train individually in Qatar, Keller has been pleased with the 25-year-old's progress. "He worked hard on his stamina and strength at the training camp and trained with the team on Friday. He's definitely an option." Kyriakos Papadopoulos, meanwhile, started Schalke's match against Köln on Saturday, but Keller suggested the Greece international defender will have to wait for his first Bundesliga start in over twelve months. "He played well against Frankfurt, but he wasn't at his best [against Köln]. It's difficult if you've been out for a year." Saturday's loss to the Bundesliga 2 leaders was Schalke's first defeat of the winter break, following wins over Eintracht Frankfurt (3-2) and Al-Gharafa Sports Club (2-1) in Doha. Keller wasn't too disappointed with his team's performance at the Rheinenergie-Stadion, but feels his attacking players must become more clinical against deep-lying opposition. "I'm sure that will happen once or twice in the Bundesliga," he said. "We still have to find a solution to that situation. I used Max Meyer in defensive midfield on two occasions, but he's important for us in a more attacking role. Kevin-Prince Boateng's diagonal balls [in attacking midfield] were also a threat. We haven't got the biggest of squads, so we have to test certain things." Schalke fans will be hoping Keller's mind will have been made up by the time the Bundesliga gets back underway next weekend.